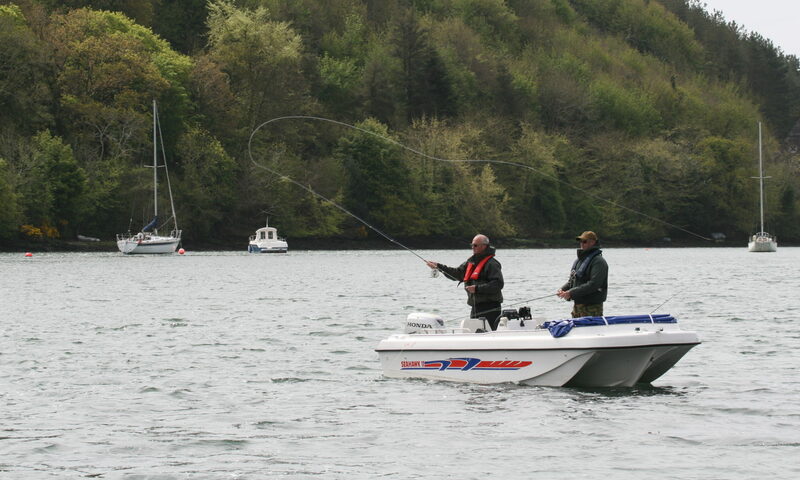 Why not try saltwater fly-fishing from a boat in the second largest natural harbour in the world? A safe harbour in most weather, shelter can normally be found easily if conditions are rough. Your guide, Commander Richie Ryan (Retd) of the Irish Navy, has built up a huge knowledge of bass fishing, in particular, over the last 30 years.His boat “Sea Hawk” is the first boat in Ireland to be licensed for saltwater fly fishing ! Also available on fly are sea trout, pollack, mullet, mackerel, garfish etc All other methods of fishing are also available and the boat is ideal for small groups- max 3 .